Several top OPEC producers made headlines with Russia on Tuesday, revealing that a secret meeting between their respective energy ministers led to a deal to “freeze” production in an effort to boost oil prices. The agreement is monumental in the sense that OPEC and Russia are poised to agree to cooperate, the first OPEC and non-OPEC deal in 15 years. At the same time, the deal is a half-measure and will likely be inadequate to substantially rescue oil prices from their rock bottom lows. Leaving aside the incentives for each individual country to cheat on the commitment, the proposal still faces hurdles. First, Iraq is a bit of a question mark, given its need to increase production. But Iraq produced at a record level in January and boosting production beyond current levels appears to be difficult. Therefore, agreeing to a freeze does not have too much of a downside. 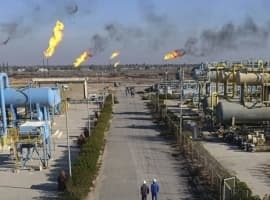 Reuters reported that a source from the Iraqi oil ministry said that they were ready to participate if all others did as well. "Iraq is with any decision that contributes to propping up oil prices," the source told Reuters. But for others, there is some sacrifice involved. Saudi Arabia’s January production levels of 10.2 million barrels per day (mb/d) were actually a bit down from their high point in 2015 at 10.5 mb/d. Also, Saudi Arabia usually increases production in the summer months to meet higher domestic demand, so freezing output would cause Saudi Arabia to take a hit. The real problem for this deal, though, is with Iran, who is unlikely to sign on to a production freeze when its output is still close to sanctions-era levels. With substantial gains in production expected for this year, the deal would be harder to swallow than it would for other OPEC members. Saudi Arabia would be willing to freeze its output if it meant burdening its rival Iran. As a result, Iran’s acquiescence is an open question. "We have not yet reached our level of pre-sanctions production. So when we get there, we will be on an equal level, then we can talk," a senior source told Reuters, pouring cold water on the deal. Venezuelan officials believe they can bring Iran on board, but that remains to be seen. But more important is the fact the deal is rather unambitious. Assuming everyone can be brought on board, freezing at current levels would simply lock in some of the gains that Russia, Saudi Arabia, Iraq, and even Iran achieved since the oil downturn began more than a year ago. Keeping production flat – at historically high levels – would do very little to ease the glut in supply. The tangible impact would likely come down to blocking new output from Iran. The result would theoretically lead to 500,000 barrels per day of capacity that ends up staying offline relative to business-as-usual, or perhaps up to 1 mb/d over the course of the next one to two years. This is an amount that is not trivial, but not a game changer. On the other hand, heading into the deal the impact in terms of the market perception, one might think, should have been dramatic. Any deal whatsoever should move prices. After all, the rumors themselves contributed to huge swings in prices in recent weeks, with double-digit moves in percentage terms not uncommon. Oil volatility has been the one constant over the past year or so, and especially more recently, rumors of a production cut have periodically sent prices soaring. For example, prices surged more than 12 percent last Friday as the rumors of an OPEC/non-OPEC deal heated up. 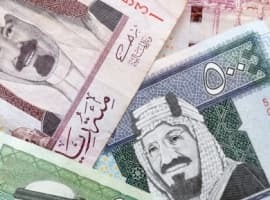 The disparate parties may have been thinking that if they could cobble together a deal, however weak, it could go a long way towards rebounding oil prices, even if the fundamentals don’t change significantly. However, heightened expectations of a production cut, not simply a freeze, have left the markets disappointed. 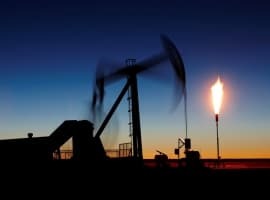 After rallying 6 percent on Tuesday after news broke of a secret meeting, oil prices fell back into negative territory by midday once oil traders realized that the impact of a production freeze on the fundamentals would likely be muted. OPEC and Russia can always build on the deal, perhaps laying a foundation for a real production cut at the June meeting. 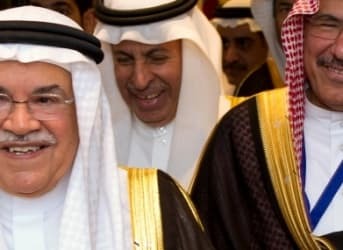 Saudi oil minister Ali al-Naimi said as much after Tuesday’s meeting. For now, though, the deal may not amount to much.